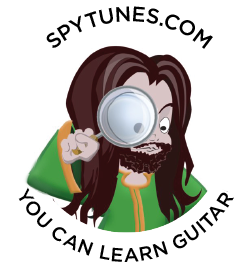 Modern information and communication technologies play a fundamental role in the activities of an organization like Spy Tunes ltd (“spytunes.com”). We are based in the United Kingdom, and our principal activity is distributing guitar lessons via online videos and teaching tools. When signing up for the site we collect the following personal data such as your name and email address. All payments are done through paypal, they collect your payment details, we have no control over payments made by you and can’t adjust it from our end. You decide when to start and stop a subscription payment using paypal. We will retain your personal data for as long as your account is active or as needed to provide you services. Please contact us, if you wish to cancel your account or request that we no longer use your data to provide you services. We will retain and use your data as necessary to comply with our legal obligations, resolve disputes, and enforce our agreements. Our Web site offers publicly accessible blogs or community forums that you can comment via a third party application or directly from the site. You should be aware that any information you provide in these areas may be read, collected, and used by others who access them. To request removal of your personal data from our blog or community forum, please contact us. In some cases, we may not be able to remove your personal data, in which case we will let you know if we are unable to do so and why. Our Web site includes Social Media Features, such as the Facebook Like button and Widgets, such as the Share this button or interactive mini-programs that run on our site]. In certain situations, spytunes may be required to disclose personal data in response to lawful requests by public authorities, including to meet national security or law enforcement requirements. If Spytunes is involved in a merger, acquisition, or sale of all or a portion of its assets, you will be notified via email and/or a notice on our Web site of any change in ownership or uses of your personal data, as well as any choices you may have regarding your personal data.